The demise of TWA is often blamed on investor Carl Icahn who acquired the airline in 1988 through a leveraged buyout. But the reason it was an attractive buyout target even then was because its assets were of greater value than the airline. The airline went through bankruptcy in 1992. It was back in bankruptcy in 1995. It was through a third bankruptcy in 2001 that TWA was sold to American Airlines. TWA had fundamental problems. Despite paying below-average industry wages it had above-average labor costs as a result of byzantine work rules that required the airline to keep open its 747 maintenance facility even after it no longer had any 747s. But the biggest strategic problem that TWA faced was St. Louis. While other airlines were making money in the late 90s, TWA wasn’t, and that was largely a function of their home market. St. Louis didn’t have nearly the percentage of high yield business passengers as other airline hub cities. American Airlines closed the St. Louis hub in 2003. Now, American has a history of acquiring airlines and then dismantling them. They acquired AirCal but didn’t keep a hub in San Jose. They acquired Reno Air but didn’t keep hubs in Reno, Las Vegas, or.. San Jose. So perhaps the TWA acquisition was ill-advised. But the pulldown at St. Louis made sense. What was once an economic engine during the industrial second half of the 20th century is no longer one of the top 20 economies in the United States. In 1986 TWA accounted for over 80% of St. Louis passengers and served over 80 destinations including London, Frankfurt and Paris. The operation ultimately grew to more than 500 flights and 100 destinations. American thought that St. Louis could serve as a ‘reliever hub’ given crowding and delays at Chicago O’Hare. Already they saw St. Louis as a connecting operation rather than a valuable asset providing non-stop service to the city’s passengers. That’s a clear recipe for underperforming revenue. Traffic at the airport shrank tremendously. The airport has even shuttered concourses, though which gates and which concourses have varied over time (for instance concourse D was partially reopened after concourse C had to be shut due to weather damage in 2011). As part of the renovation, Lambert closed its B Concourse to flights and now rents it out for parties and conferences. The airport’s annual fundraiser is held on B. The new Lindbergh Conference Room outside the security checkpoint can be rented by the hour to the general public. The airport closed its mile-long D Concourse, which was always too narrow for shops. “If we need the space for future growth it could easily be reopened, but for now we are saving the operating costs and keeping it closed,” Hamm-Niebruegge said. Someone even claims the D concourse is haunted. With that as a backdrop, Southwest Airlines keeps growing there and now is up to 100 daily departures, having added 11 new destinations in the past year. It’s been 10 years since any airline operated 100 flights in a day there.Southwest Airlines seems to be able to make the city work where others haven’t been able to. Southwest has seen opportunities to grow where other airlines have scaled back, such as at former US Airways hub Pittsburgh another former industrial city but one that’s revitalized as, among other things, a center of technology. Don’t forget the TWA impact on MCI, the huge runway expansion in STL in the early 2000’s or the failure of the Missouri Governor to land the China Air cargo hub in recent years. Heck, Boeing makes F-15s across the field at STL and even that doesn’t seem to help. Oh and add AA shutting down US airways PHX hub to the list, you know it’s coming. I don’t have any data to back this up but it seems like St. Louis is just being used as an overflow to MDW just like AA did at ORD. If they need to add a flight to MDW, another one gets pushed to STL to make room. I used to fly from DCA/IAD to STL every week from late 1996 to mid 1998. By connecting through Chicago on United, I racked up 4 segments per week, which enabled me to reach Premier 1K status (those were the days). St. Louis is/was a decent city but lacks participation in any growing companies/industries, so it appears to have gotten left behind. As of last week AA discontinued their daily FLL to PHX flight that every time I was on it was packed to the brim. This flight dates back to the days of America west! When America wesr and USAir merged they illuminated the FLL to LAS flight in favor of shuttling everyone to PHX to connect. Now with AA and USAir merging they are connecting everyone at charolette for eastbound flights and Dallas for westbound flight. It’s sad what has happened not only to Lambert but to St Louis as a whole. I used to live there in and I hope, perhaps foolishly, that the St Louis area can revitalize or reinvent itself one day. The first time I flew into STL after it had really shrunk, seeing the D Concourse closed was so sad. When I lived there I actually mostly flew WN. This was back when their still new Rapid Rewards program used stamps on a card to credit your flights! I think I either had to mail in the card or take it to a ticket counter to redeem. Southwest has been great in Saint Louis. I’m from Dallas, so I’m partial to AA and WN anyways, but as AA has reduced operations switching my flying to WN has given me the ability to fly non stop to just about any place I want to go. The Southwest terminal is always packed, reminds me of Love Field. The other terminal which houses the legacies? Ghost town in comparison. Bunch of tiny regional jets, connections, and higher fares. They may have gotten local traffic from the cheap fares, but SW doesn’t have cheap fares any longer. What were once always $69-99 are now $199-500 or more. I’ve stopped searching them. They also cut off their own nose by not letting Kayak search their database as that’s the only way someone not doing separate searches would know if they ever again have a competitive fare. I agree with Greg on SWA pricing. Flew them for first time this year on flight to SAN. While I enjoyed the professionalism in their operation, it isn’t worth the premium. I don’t think their safety record is better than any other domestic airlines in the immediate past, so my focus is on price. They lose. As for CLT hub for AA, that city has problems between their political parties that spills over to business and included the airport. Like the current LGBT topic, the state legislature jumped in the airport fracas. There are no guarantees for any city. Actually AA still had 200 daily flights out of St. Louis until cutbacks to serving only hubs in 2009. I’d love to see you or Cranky do an analysis of the types of flights they’re adding here. I was very cranky myself when WN axed Wichita’s DAL and MDW flights and replaced them with STL and PHX. I assume most of WN’s flow east and north would move more efficiently through STL and their flow west would flow more efficiently through PHX. Probably the biggest consideration is that were competing with AA on the Dallas non-stop and with UA and AA on the Chicago non-stop. I much prefer Chicago and Dallas as n/s destinations given the plethora of international positioning I would do to those cities with multiple options on the n/s, not to mention quick, cheap weekend getaways to two of my favorite cities. So like I said, I’d love to hear some analysis of WN’s rationale for building up STL, PHX, and other marginal hubs where they’re switching folks away from MDW and DAL. Perhaps it’s same as AA’s vision for TWA: relieving the crowding at MDW and DAL. I have heard recent local rumblings about 2 new possible international direct flights out of St Louis to London and Frankfurt. Part of this talk was driven by the Metck KgaA acquisition of St. Louis based Sigma-Aldrich. I know German based Merck has close ties to Lufthansa, and apparently there was some discussions with other businesses in St Louis about interest in the routes..Would there be enough traffic to Frankfurt? 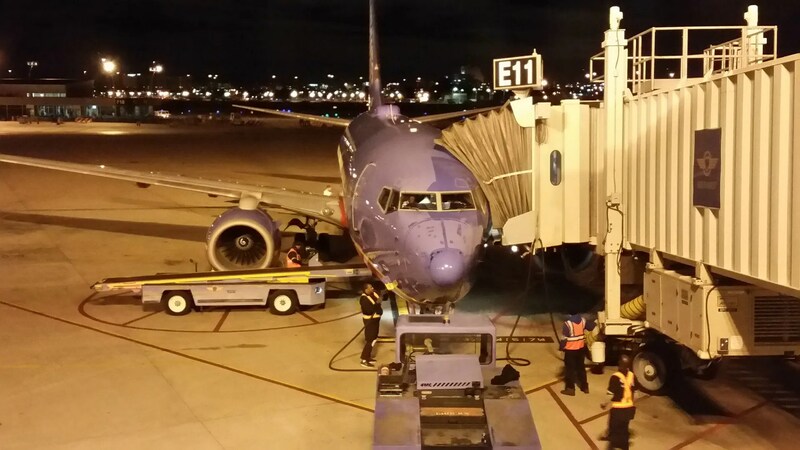 Hallelujah for Southwest, coming to the aid of St Louis. I arrived in the area, when riverboat casinos were approved in Illinois, in 1991, and moved to Alton permanently in 1993, to help run a startup gaming company, Argosy. We were successful in developing other riverboats in Iowa (Sioux City); Louisiana (Baton Rouge); Missouri (Kansas City) and Indiana (Lawrenceburg). And even though Southwest does not fly to Baton Rouge or Sioux City, I preferred to fly with my favorite airline, and rent a car at the Airports in New Orleans or Omaha, NB. As a business traveler, I prefer Southwest because they don’t penalize a flight change, or charge for bags. And even though I miss the old day flying first class on Pan AM, Eastern and TWA, from the Bahamas; most travelers don’t want a meal on a 2 or 3 hour flight, and if it saves my company money, I can give up the free drinks. And if you fly enough, and use Southwest Visa cards, you can achieve “A” List status, and even qualify for a Companion Pass, which my wife has enjoyed for over a decade. Thank you Southwest for gracing St Louis in the 1980’s and continually expanding communities that you serve. Unfortunately I am moving West, but rule number one is that we must be within 30 minutes of an Airport offering Southwest service. Fortunately there are 5 that I have used, and a new one now in Long Beach. Kep up the good work. AA $455, WN $228. The $227 I just saved pays for the hotel and dinner in LAX on this trip. Though SW may not always have the lowest fares, their fares are competitive and if you check a bag both ways, the other fare has to be more than $50 less for it to be better. Steve mentioned, too, the fact that SW doesn’t charge for changes. Recently a friend who was to travel with me had an accident with a fracture that prevented her making the trip. However, because we were flying on SW, she retains the full value of her ticket and can use it anytime within the next 8 months, a year from the time of initial purchase. These feature make SW very attractive. They also offer more non-stops from KC (my home) than the other airlines offer. I miss the glory days of the STL hub. Concourse “D” is dead for sure. If money were no object, St.Louis should rebuild Lambert except the Southwest terminal and concourse. Can’t believe ‘B” is now used for parties. One correction regarding the last line of your piece. While some technology companies have grown Pittsburgh, it’s really a result of oil and gas hydraulic fracturing. PIT has become the Houston of the Northeast and is far and away the driving force for growth at the former hub. Without fracking, it’s possible that PIT would be the next Detroit or in this case (as you have pointed out) St. Louis. Gary do you research things before you post? STL was a hub until 4/5/2010 and to this day remains an operational base for AA with in-flight, fleet service, and line maintenance. Do you have access to Diio? Have you seen the rebound in passenger traffic at STL? As usual your “facts” are off, not sure what is with your obsession with TWA and you keep coming to Ichan’s defense. Did you fly TW? 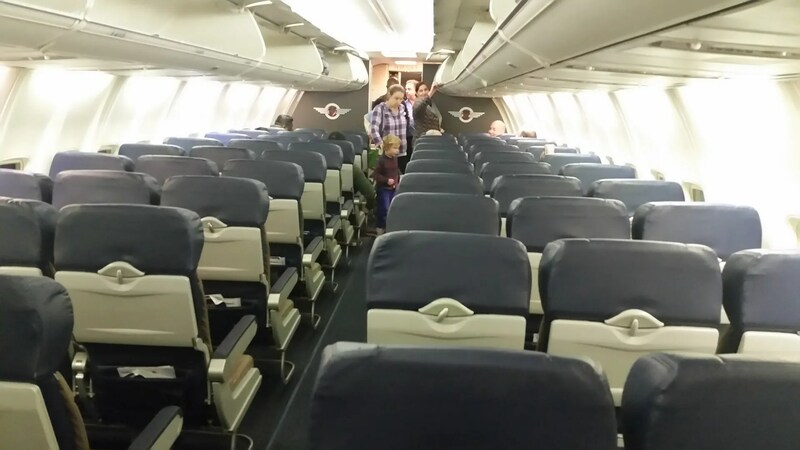 Did you fly AA regularly from STL? Stick to what you know, you have never worked for an airline. Gary, post the IAM TW CBA language on this 744 base. @Josh G – your claims are completely misleading. So while it’s true that American still called St. Louis a hub, that’s not really a fair read of the situation and no one at the time considered it such. The 2010 reduction you’re referring to was when American cut the city down to just 36 flights a day. Gary, your facts are off, emplacements overall have grown at STL and new service from AS, F9 and UA have started in the last several years. AA opened a brand new $8 million Admirals Club. Have you looked at the enplanements by carrier? I am not misleading anyone. You have NEVER worked for an airline or in the industry. Got a link to the TW M&R CBA outlining the 747 base? The major cuts were in 11/2003, not 2005. Things stayed fairly constant from that point, slight resurgence in 2006/07, and then more cuts in 2008/09. Look at Diio for historical schedules. And once again, you show how little you actually know. Initially there was ZERO American Eagle service at the STL hub, it was AmericanConnection operated by Trans States and Chataqua. But hey you wouldn’t know that since at that time you didn’t fly AA. @Josh re-read my comment. They cut the schedule in half in 2003. So you are ‘correcting me’ by repeating exactly what I said. American downgauged aircraft in 2005. So number of flights isn’t the only issue, number of seats matter too. And in any case you’re undercutting your argument that AA maintained a ‘hub’ there (it was a hub in name only) until 2010. They gave up calling it a hub that year, when they cut the station to fewer than 40 flights. What’s your point? Southwest is making St. Louis work after others haven’t. And the airport itself still has gates shuttered. You don’t get it as usual. I have AA historical schedule data, do you? There was no significant change of gauge in 2005 in STL. Again, it was NOT American Eagle it was Trans States and Chataqua under CPA flying the American Connection brand. Got a link to the TW M&R CBA outlining scope for a 747 base? @Josh G you acknowledge that flying was outsourced from AA mainline to regional etc but that there wasn’t a significant change of gauge. Do you realize those statements are incompatible? You have not even made an argument, just several contradictory statements. First you suggest STL was still going strong until 2010. Then I pointed out reductions in schedule in ’03 and outsource to regional in ’05 and you agree with those but insist you’re somehow right (about what?) and I’m wrong (about what, what you’re agreeing with me? ).